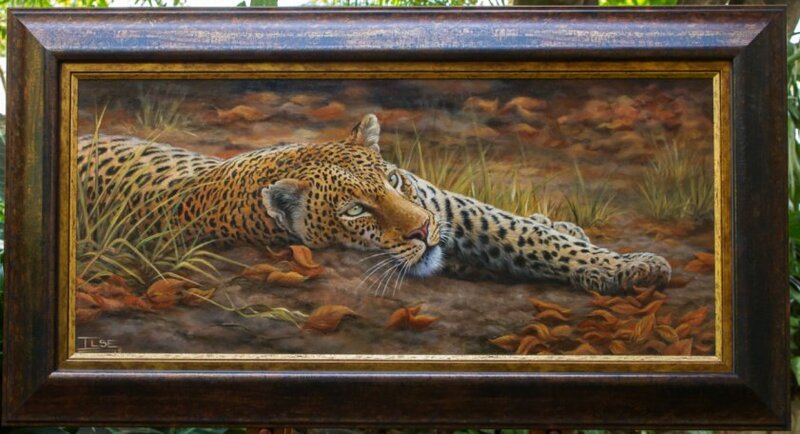 While I am a wildlife artist, I do, within my genre, have my favorite animals which I never tire of painting. One of these is without doubt the leopard. These cats have the amazing ability to show so many different & contradicting emotions, not only through their facial expressions but even more so by their body language….On the one end of the scale, while at rest ,they can appear as docile, relaxed & tame as the average house cat. So much so that one would forgive the onlooker the secret wish to be able to stroke that magnificent dappled coat just once. On the other hand one has to realize & acknowledge that they are not only fierce & wild, but very dangerous and formidable hunters. It’s beautiful!! What is the size as well as the price?